Former auto czar Steve Rattner settles in a pay-for-play scandal, which will result in a $10 million fine. 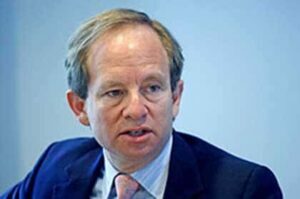 Former auto czar Steven Rattner has agreed to pay a $10 million fine to settle a “pay-to-play” case that claimed the one-time reporter had handed out kickbacks in order to steer $150 million in New York State pension fund business to his Wall Street firm. The settlement, approved by NY Attorney General – and Governor-elect – Andrew Cuomo also bars Rattner from having any dealing with any public New York pension fund for five years. But the former NY Times journalist still scored a victory. Cuomo had originally hoped to force Rattner to pay a $26 million fine and to bar him for life from working anywhere in the securities industry. Rattner, who is worth a minimum of $188 million according to knowledgeable sources, served as the Obama Administration’s first “auto czar,” helping put in place the bailout of, among others, General Motors and Chrysler, in early 2009. But shortly after leaving the government he became enmeshed in an ongoing scandal involving the illegal efforts by various private equity firms to gain lucrative pension fund business. 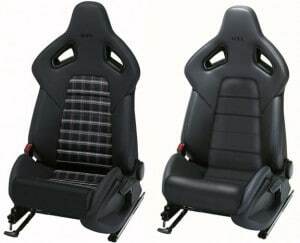 Recaro best known for performance seating. A pair of Recaro seats. Johnson Controls Inc., one of the world’s top automotive suppliers, has swooped in to acquire one of the top names in automobile seating – Recaro. JCI has signed a purchase agreement to acquire the German automotive supplier Keiper and the Recaro-brand specialty seat business. Financial details regarding the transaction were not disclosed. Your Trusted Source! Click Here to Subscribe! “It provides leading technologies that we can leverage across our current seat component portfolio, and expand in China and North America,” he said. Keiper, based in Kaiserslautern, Germany, is a leader in recliner system technology and is renowned for its engineering and manufacturing expertise in metal components and mechanisms. The acquisition will include approximately 4,750 employees globally in seven countries. Toyota drives numbers to highest level since 2004, but Ford, Chrysler add to list with last-minute recalls. 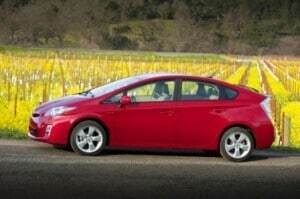 A seemingly endless stream of recalls by Toyota meant 2010 saw more safety-related recalls than any year since 2004. 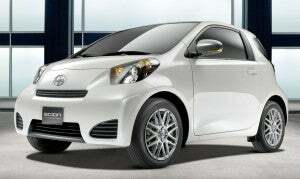 The following story has been revised to reflect the latest recalls announced New Year’s Eve by two Detroit automakers. Driven by a series of massive safety-related actions at Toyota, the number of vehicles recalled in the U.S., this past year will have reached near-record levels. But Toyota wasn’t alone, as two of Detroit’s Big Three demonstrated, collectively announcing the recall of another 165,000 vehicles during the final hours of 2011. Still, were it not for the Japanese maker’s multiple problems, the number of recalls in 2010 would have come in at less than half of the previous record, the 30.8 million vehicles involved in safety-related recalls back in 2004. As it stands, an analysis by the Associated Press shows that about 20 million cars, trucks and crossover will have been impacted in 2010 the highest figure since the industry set that record, six years ago. It’s not clear whether that means there has been a sudden and unexpected setback in the effort to improve automotive quality, reliability and safety. Particularly in the light of Toyota’s problems, government regulators have ramped up their own efforts – partly because internal Toyota documents suggested the National Highway Traffic Safety Administration may have become too cozy with the auto industry. As auto enthusiasts, it's your job to explain possible solutions to the uninformed. Gas prices are starting to creep up and some experts are suggesting that they could exceed $5 per gallon. 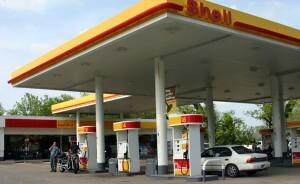 Fueling the fire this week was a former Shell Oil executive who predicted $5 gasoline as soon as 2012. John Hofmeister, now head of Citizens for Affordable Energy, said worldwide demand for oil would drive up the price of gasoline to unheard of levels, according to ABC News. Unheard of, at least, for spoiled residents of this country. The histrionics on a local radio station seemed to be emblematic of the issue. “We’ll figure something out by then” says one talking head. Within a year? After years of watching the problem fester like an open sore? Maybe the government should subsidize gasoline or employers will step up to give us all raises so we can pay for these high gas prices, says her partner. Seventy-five dollars to fill a 15-gallon tank. No one will be able to afford to fill their tank. Rising fuel prices, tough rules, alternative offerings all could bring big changes. How small is too small? American buyers will downsize -- but how far? The numbers at the pump down at Sunny’s Sunoco are spinning fast, these days. And getting faster all the time. He’s pumping regular at $3.19 a gallon, this morning, a big jump from just two weeks ago, but likely nothing compared to what we’ll see in the months to come. Curiously, I hear a lot less complaining about fuel prices than I did in 2008, the last time we saw that rapid upward spiral. Perhaps panic will set in again if we start nudging $4 a gallon, but it just seems like most Americans have come to expect that number as an eventual reality. But it’s more than a matter of grin-and-bear-it. Buyers are fighting back in their own ways. By driving fewer miles, according to government data, and by switching to more fuel efficient vehicles. Some are even considering vehicles that don’t few fuel at all, at least not in the liquid sense. And if fuel prices really do soar to new records in 2011, the pace of change could outstrip even the most optimistic forecasts –though don’t expect American roadways to start looking like those in Europe and Japan. MyKey update limits access to adults-only radio. An updated version of the Ford MyKey will bar young drivers from accessing adults-only radio. Ford Motor Co. is giving parents the power to censor the music selected by the teen drivers in their household. The updated MyKey feature has been upgraded to allow parents to block explicit satellite radio programming while their teens are driving. 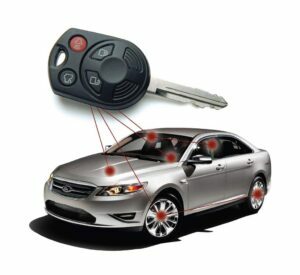 The upgraded version of MyKey will debut as a standard feature late next year on the Ford Taurus and Explorer and will quickly be offered across a variety of Ford and Lincoln models, company officials said. “Ford wants to give parents peace of mind that their kids are following practical household rules in the car,” says Graydon Reitz, director, Ford Electrical and Electronic Systems Engineering. “Parents obviously like this type of feature, and many teens are okay with it when they hear parents may give them the keys more often if the car comes with a technology such as Ford’s MyKey,” Reitz said. Targets range up to $50 a share. Wall Street has big expectations for GM. General Motors stock appears to be in the midst of an end-of-the-year rally, and could see further growth in 2011, according to some key investment analysts. The maker’s sudden surge reflects the fact that Wall Street is stepping up both its coverage of the new GM stock – and giving it a clear thumbs up, Credit Suisse, for one, projecting GM to “outperform” the overall market. The maker’s shares jumped 2% on Tuesday, climbing 72 cents to $35.32. The really continues today, GM stock up another 54 cents just before the noon hour, at $35.86. And expectations could push things significantly higher. “GM offers an attractive 12-18-month investment opportunity,” said Credit Suisse’s automotive analyst Christopher Ceraso. The bank was one of eight to resume coverage of General Motors stock this week. 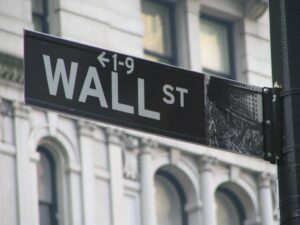 Some served as underwriters of the GM IPO, meaning they were legally barred from covering or recommending the stock until 40 days after the initial offering. Torque split technology designed to power car through corners. 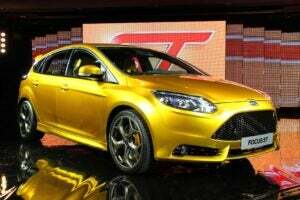 Ford will offer torque vectoring technology on all its 2012 Focus models. Among the numerous features Ford Motor Co. will offer on its new 2012 Focus model will be something called torque vectoring control, a system designed to help power the car through corners. The new system is designed to shift torque to the outer wheel as the Focus goes into a turn, both maximizing grip and improving performance. Ford becomes the first automaker in the compact segment to offer torque vectoring, notes Focus program manager Rick Bolt. “Because torque vectoring control is on all our Focus models, it will elevate skill sets across a broad range of drivers,” he contends. But Ford is just the latest on a growing list of manufacturers offering torque vectoring technology. Other makers that have adopted the concept include Audi, Acura and Subaru. The concept goes a giant leap beyond the time-tested limited-slip differential offered by most modern automakers. And with all-wheel-drive models can help overcome a tendency to push through corners. Pick A Piece Of History? Smithsonian asking public to vote on which cars to display. 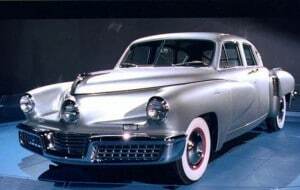 The Tucker sedan is one of eight models that could wind up on display at the Smithsonian. We’ve all made that list of which books (or CDs or movie stars) we’d want to have if stuck on a desert island. But if you thought that choice was tough, here’s the real challenge: which two cars would you put on display to represent the American automotive industry? The folks at the Smithsonian have narrowed the choices down to eight models that cover most of the first century of the American auto industry – indeed, offering up an 1880 steam-powered trike, built in Massachusetts, that significantly predates the 1896 Duryea that most experts cite as the start of U.S. automotive manufacturing. Another early offering is the 1894 Balzer, a primitive 4-wheeler that was the first automobile to navigate the streets of New York. It was built by a Tiffany-trained watchmaker. Shares plunge in post-Christmas trading. 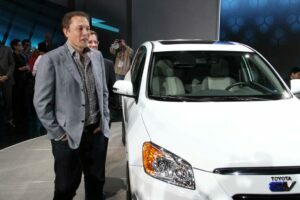 Tesla CEO Elon Musk shown with the Toyota RAV4-EV at last month's L.A. Auto Show. The Grinch is back, and this year he’s taking aim at Tesla, the California-based electric vehicle start-up that has seen its shares dip by nearly 25% from where they were trading just a week ago. But that leaves company officials – and industry analysts – wondering exactly what is behind Tesla’s sudden plunge. While some observers suggest investors may be questioning the firm’s long-term prospects now that mainstream makers like General Motors and Nissan are pushing into “electrification,” others feel the plunge may be more the result of market speculation than anything to do with Tesla’s technology, partnerships, sales or future products. The 180-day lock up period on sales of Tesla stock will expire on January 29 and traders appear to have zeroed in on the prospects that Tesla’s share will lose value next month because of rising sales pressure. The lock-up period restricts sales of stock acquired on the day Tesla went public last June. Thus, traders were buying puts – the right to sell shares at a specified price on a specified day — speculating that Tesla’s share will be selling for less than $25 or $26 per share when the six-month lock-up expires. Tesla closed Monday at $25.55.